Spring cleaning, planting flowers, maybe fixing up the deck or patio—warmer weather brings lots of home improvement projects. Midland National wants to help make those projects a reality, so they’re launching the 2018 Spring Home Sweepstakes. 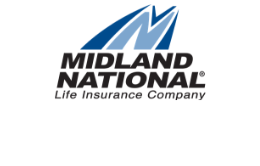 To enter, fill out the contest form on Midland National’s Facebook page. In addition to the grand prize, there will be smaller weekly prizes throughout the month of March, so keep checking our Facebook page. The contest closes on March 20, 2018. Learn more about this chance to spring ahead on home improvements.